Found one file extension association related to Fallout 2 and 1 file format developed specifically for use with Fallout 2. It's been 80 long years since your ancestors trod across the wastelands. As you search for the Garden of Eden Creation Kit to save your primitive village, your path is strewn with crippling radiation, megalomaniac mutants, and a relentless stream of lies, deceit and treachery. You begin to wonder if anyone really stands to gain anything from this brave new world. 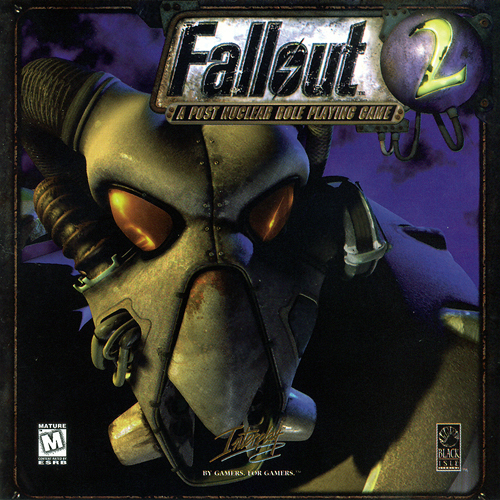 Mastering your character's skills and traits for survival, Fallout 2 will challenge you to endure in a post-nuclear world whose future withers with every passing moment. If you need more information please contact the developers of Fallout 2 (Interplay Entertainment Corporation), or check out their product website.